Posted on 8/1/2018 by Thomas Michael. 0 Comments. What is the SAP GUI? The SAP GUI (Graphical User Interface) is a software program on your computer that allows you to access an SAP system. 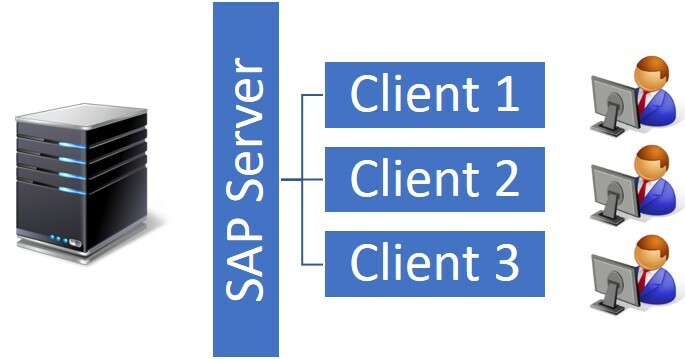 SAP uses a so-called client-server architecture where the SAP system/application resides on a server and you are accessing the system via your computer (which is called the client - see below image for SAP's typical client-server set up). As the name suggests, this GUI uses an internet browser (such as Google Chrome, Firefox, Microsoft Edge, etc.) to login to an SAP system. Simply start your web browser, enter the URL of the SAP system and login – that’s it. The obvious benefit of the HTML GUI (also called the Web GUI) is that there is no software to download or install – a big pro when compared to the other GUI options below. Two distinct disadvantages to the Web GUI, however, are that it tends to be a bit slower to work with and it does not support all SAP functions (i.e. graphical features typically do not render well in the Web GUI). This is the standard, most widely used GUI version. 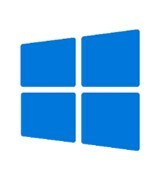 If you run the Windows operating system on your computer, this should be the default choice. However, this SAP GUI needs to be downloaded (big download file = 1 GB!) and installed on your computer first. Once installed, you can add your SAP system connection parameters and then login. This GUI supports all SAP functions and provides the fastest access to an SAP application. Similar to the SAP GUI for Windows, this Java version needs to be downloaded and installed on your computer first. The unique difference of this GUI is that it is ‘platform independent’ – meaning that it can be used on 3 different operating systems: PC/Windows, MAC/iOS and even Linux. If you use a MAC computer, this would be your default choice for the GUI. Installing the GUI and then entering the SAP system connection information will take a bit of time, depending on your selected GUI components. 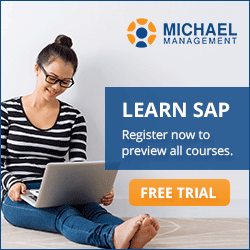 We offer a free SAP training course on How to install the SAP GUI here – simply enroll and take the short 30-minutes course to learn how to install the GUI on your own computer. As I write this blog post, the most recent SAP GUI for Windows version is 7.50 and 7.60 is about to come out. Currently here are the support deadlines for the various SAP GUI version. Make sure to upgrade your GUI version accordingly. If you have an active subscription to our SAP Access service, we automatically send you GUI updates and patches periodically. Version 7.40: Full support ended on 1/9/2018. Restricted support ended 6/30/2018. No extended support is offered by SAP. 7.50: Full support until 4/9/2019. Restricted support until 3/31/2020. No extended support offered. 7.60: Full support through 4/12/2022. Version 7.40: Support ended on 3/31/2018. 7.50: Full support through 6/30/2019. When you sign up for live SAP access with us we will provide the GUI download and installation instructions as well as the SAP system connection parameters. Thomas Michael has been involved in SAP consulting and development since 1993. As the CEO of the Michael Management Corporation he speaks and writes widely about SAP training and implementation issues. Tom has authored numerous books, articles and white papers covering a variety of topics. He is a regular speaker at national SAP conferences and other venues.